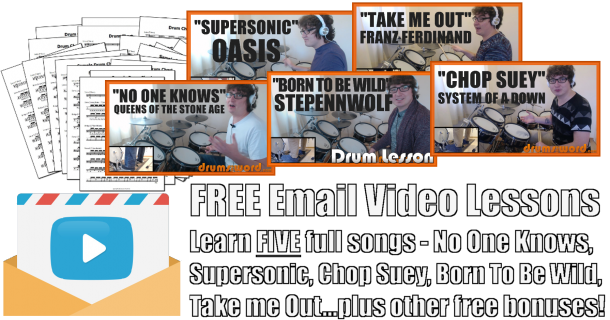 In this free drum lesson, I want to give you the FULL free PDF Drum Chart to the song “A Day In The Life” by The Beatles, featuring the drumming of Ringo Starr. Ringo once again displays his ability to create unique and very musical drum fills. Some even sound random…like he’s about to fall off the drum kit, but then he finds the downbeat again and he’s back. 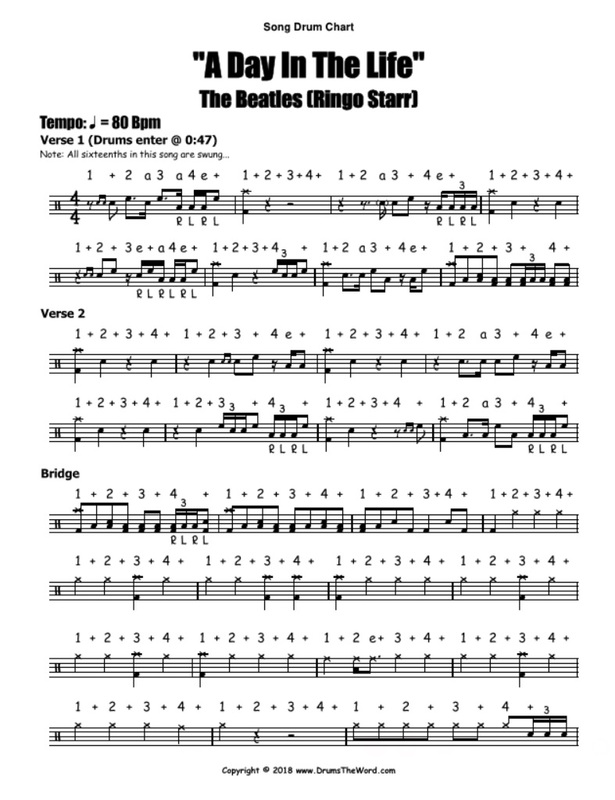 The chart does not feature any sticking as I have no idea what Ringo would have used…being a left handed drummer on a right handed kit! It’s up to you to work out how best to orchestrate this stuff. Have fun and happy drumming to you!